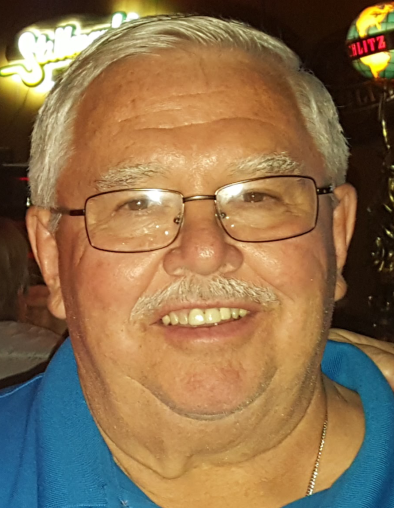 Patrick J. Cuculi, 72, of Sturgeon Bay, passed away Sunday morning, September 9, 2018 at Allouez Parkside Village with family and friends at his side. He was born April 8, 1946 in Milwaukee, the son of the late Joseph and Mary (Tobin) Cuculi. Following his graduation from Channing High School in 1963, Pat attended Ferris State and Northern Michigan University. On April 20, 1968, he married Sandra Lee Burns in Channing, MI at St. Rose Catholic Church. Pat worked at Pauly Cheese in Green Bay before coming to Sturgeon Bay and becoming the Proprietor of Apple Valley Lanes in 1985. He sold the business in 2010 to his daughter and son-in-law, Michelle and Mike Pfannenstiel. Pat loved bowling and competed at the highest level on the PBA Senior Tour. He was inducted into the Green Bay and Sturgeon Bay Bowling Hall of Fames. Pat enjoyed teaching and fitting equipment for all bowlers, especially new bowlers to the game as he was a certified USBC coach. He was proud to have passed on his love of bowling to his children and placed 2nd with his son, Mike, at the USBC National Tournament 2001. Pat was good at most sports and a fierce competitor at all. In addition to bowling, he enjoyed golfing, baseball, fishing, and playing cards. Spending time with his family and friends was his most memorable trait, especially his last years at his Florida home. He will be missed by his wife, Sandra; two children, Mike (Nancy) Cuculi, and Michelle (Mike) Pfannensteil of Sturgeon Bay; two step-grandchildren, Alan (Rachel) Schmidt (their children, Nolan and Eliza), and Michael Schmidt (his son, Mason); three brothers-in-law, Dennis (Carolyn) Burns, Michael (Stephanie) Burns, and Kenneth (Corliss) Burns; sister-in-law, Annie (Dennis) Hilton; aunt, Carol Fontana; and many cousins. Pat was preceded in death by his parents, Joseph and Mary Cuculi; and his in-laws LJ and Irma Burns. A Mass of Christian Burial will be celebrated at 11:00 a.m. on Tuesday, September 18, 2018 at Corpus Christi Catholic Church in Sturgeon Bay with Fr. Carl Schmitt officiating. He will be laid to rest in Bayside Cemetery. Friends may call at Huehns Funeral Home in Sturgeon Bay from 3:00 to 8:00 p.m. on Monday, September 17, 2018 with a parish wake service to be held at 7:45 p.m. Visitation will continue at the church on Tuesday from 9:30 a.m. until 10:45 a.m.
Memorials may be made in Pat’s memory to the Patrick J. Cuculi Memorial Fund for youth and high school bowler scholarships at Apple Valley Lanes, 1217 N. 14th Ave., Sturgeon Bay, WI 54235. Pat’s family would like to extend a special thank you, to the staff at Allouez Parkside Village, Heartland Hospice, family, and friends for all the compassionate care Pat received these past several months. Expressions of sympathy, memories, and photos of Pat may be shared with his family through his tribute page at www.huehnsfuneralhome.com.